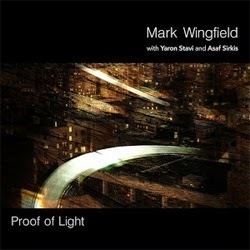 MARK WINGFIELD: "Mars Saffron", de Proof Of Light, Moonjune Records, 2015. 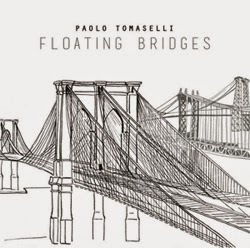 PAOLO TOMASELLI: "Night Shadows", de Floating Bridges, Quadrant Records, 2014. CRISTIAN GALLARDO: "Hablando", de Desiertos, Cristian Gallardo, 2014. ALBERTO VILAS QUINTETO: "Instante Distante", de Crónica Cromática, Free Code Jazz Records, 2014. 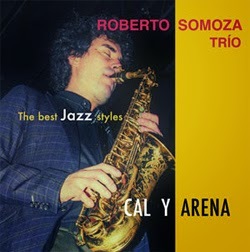 ROBERTO SOMOZA TRIO: "5/4 Swing", de Cal Y Arena, Roberto Somoza, 2014. JUYMA ESTEVEZ TRIO: "Regreso A Donostia", de Océanos De Porcelana, Free Code Jazz Records, 2014. TELMO FERNÁNDEZ & MARCOS PIN DUOLOGY: "Things Ain't What They Used To Be", de Take A Second, Free Code Jazz Records, 2015. GWILYM SIMCOCK: "The Theme", de Instrumation, ACT Music, 2014. ANIMALS AS LEADERS: "The Price Of Everything And The Value Of Nothing", de Animals As Leaders, Prosthetic Records, 2009. STICK MEN: "Inside The Red Pyramid", de Soup, Stick Men, 2010. 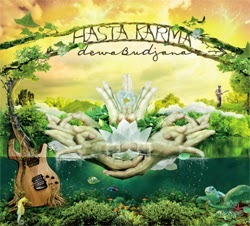 DEWA BUDJANA: "Jayaprana", de Hasta Karma, Moonjune Records, 2015. 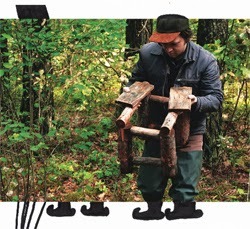 ZHENYA STRIGALEV'S SMILING ORGANIZM: "Redunta", de Robin Goodie, Whirlwind Recordings, 2015. CONTRACUARTETO: "La Mofeta", de Sinestesia, Animales En La Vía, 2011. VALENTIN CAAMAÑO TRIO: "Juju", de The Joy, Free Code Jazz Records, 2014. 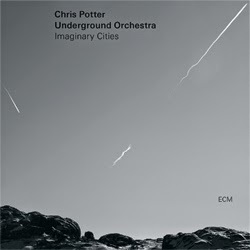 CHRIS POTTER UNDERGROUND ORCHESTRA: "Imaginary Cities 2: Dualities", de Imaginary Cities, ECM Records, 2015. STIMPY LOCKJAW: "Robo", de Stimpy Lockjaw, Stimpy Lockjaw, 2014. GONGZILLA: "Bad Habits", de Suffer, LoLo Records, 1995. PERCY JONES / SCOTT McGILL / RITCHIE DeCARLO: "Last Tango In Cell Block H", de Debut, Uniblab Recordings, 2013. 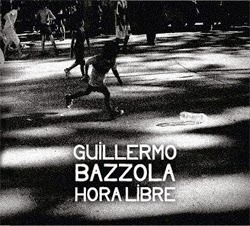 GUILLERMO BAZZOLA: "Street People", de Hora Libre, Blue Art Records, 2014. MARC HALBHEER'S L.A. EDITION: "Bohemia After Dark", de Mood Swings, Texit Music, 2009. SEBASTIAN CHAMES: "Remember", de Reconstrucción, Youkali Music, 2013. GIO YAÑEZ: "Nnd" de Zero Point Energy, Free Code Jazz Records, 2014. CHIMP SPANNER: "Möbius - Part I", de All Roads Lead Here, Basick Records, 2012. INNA ZHELANNAYA: "Petrivka", de Izvorot, Inna Zhelannaya, 2014. RITCHIE DeCARLO: "Maybe Micro Monday", de Week, Uniblab Recordings, 2013. CRISTIAN GALLARDO: "No Te Preocupes", de Desiertos, Cristian Gallardo, 2014. 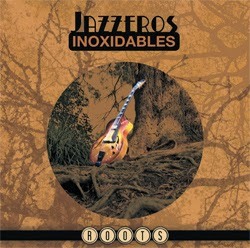 JAZZEROS INOXIDABLES: "Money", de Roots, Autoeditados Distro, 2011. HASIER OLEAGA: "Solvitur Ambulando", de Cantus Caterva II, Errabal Jazz, 2014. 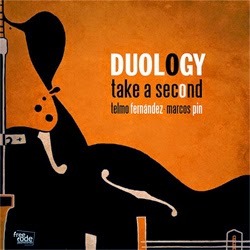 TELMO FERNANDEZ & MARCOS PIN DUOLOGY: "Old Folks" de Take A Second, Free Code Jazz Records, 2015. 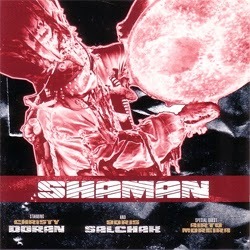 CHRISTY DORAN & BORIS SALCHAK: "Chyraa Khor" de Shaman, M.E.L.T., 2000.